Call Alert! 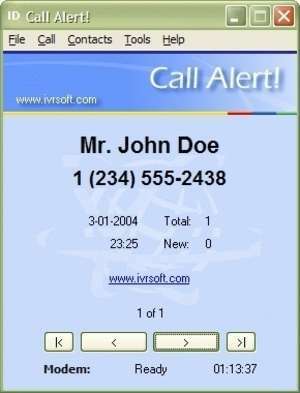 enables your PC to recognize the caller without the need to answer. Call Alert! For security reasons, you should also check out the Call Alert! download at LO4D.com which includes virus and malware tests. Additional screenshots of this application download may be available, too.